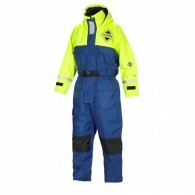 This Fladen flotation suit is light weight and provides extreme buoyancy as well as thermal protection. 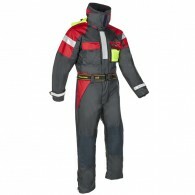 Some of the technical features of this suit are mentioned below: Model No. 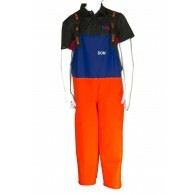 845 Immersion suit ISO 15027-1: Yes Floatation garment EN393: Yes SOLAS/USCG reflectors: Yes, 400cm² Polyester 300D: Yes .. 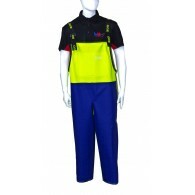 The Fladen 846-847 2-piece flotation suit is available in blue-yellow, orange-yellow and black-yellow combination. The suit is EN 393 certified as floatation suit. 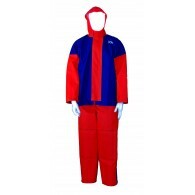 Some of the technical specifications of the suit are mentioned below. 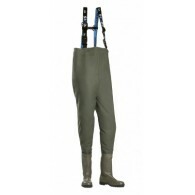 Model No: 846-847 2-piece Immersion suit ISO 15027-1: Yes Floatati..
SIOEN MANTON 6281 CHEST WADER WITH SAFETY BOOTS 100% Waterproof/ windproof/ tear resistant/ extremely strong. 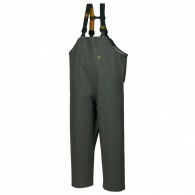 High frequency welded seams Outside Resistance against minerals, animal and vegetable oils & fats, desinfectants and various chemicals Braces with buckles Practical and functional safety..
SIOEN MILLE 6283 HIP WADER WITH SAFETY BOOTS 100% Waterproof/ windproof/ tear resistant/ extremely strong. High frequency welded seams Outside Resistance against minerals, animal and vegetable oils & fats, desinfectants and various chemicals Braces with buckles Practical and functional safety we..
Our best value range of oil skins from Dom Mira. 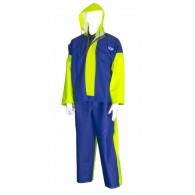 These are durable, high vis oil skins with all the features you expect from your wet weather gear – hoods, reinforced knees and sealable arm cuffs but what stands out is the price. ..
High on the chest and back. Back elasticated. Elastic braces. 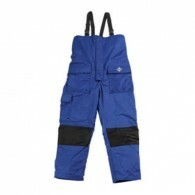 Adjustable gusset for comfort on the sides. Inside knee-pads compartments. 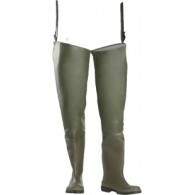 Glentex fabric: the most popular of our fabrics for protective rainwear users. Excellent value for money. 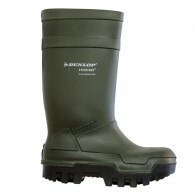 Comfortable, flexible, tough. 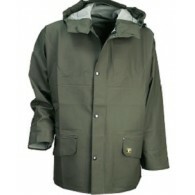 Coated on one side ..
A great all round jacket perfect for farming, fishing, gardening or hunting. 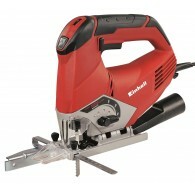 The material is known for its durability while still being very good value for money. The design captures all the elements of guy cotten's experience as a market leader. Condensation is greatly reduced thanks to the isol.. 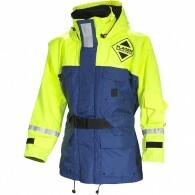 The Mullion Aquafloat Superior Flotation Jacket is 100% waterproof making it ideal for any water-based work or activities, giving complete protection to the wearer in tough weather conditions High collar and extra protective chin strap with touch and close fastening High-visibility yellow adjustab..